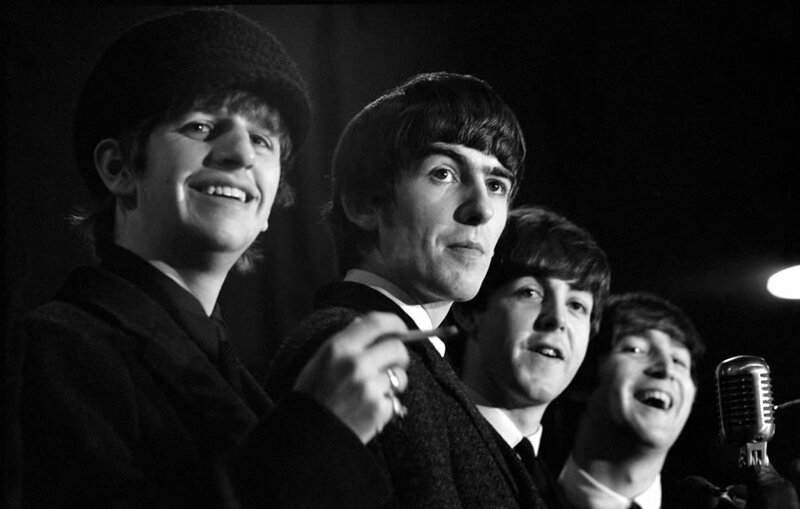 1964, The Beatles were atop the UK singles chart with “A Hard Days Night,” the group’s fifth. They would be number one on the US Billboard Hot 100 in August. 1964, The Beatles take part in the Night of a Hundred Stars at the London Palladium. 1965, The Kinks perform “You Really Got Me” on the TV show, Where the Action Is. 1965, The Dave Clark Five played at Independence Arena in Charlotte, North Carolina. 1966, Frank Sinatra went to number one on the album chart with Strangers In The Night. The LP would be the most successful of his career, being certified platinum for 1 million copies sold in the US. The title track would earn him two Grammy awards for Record Of The Year and Best Male Vocal Performance. 1966, The Rolling Stones played at Patio Gardens in Farmington, Utah. 1966, Napoleon XIV releases the perennial novelty favorite “They’re Coming to Take Me Away, Ha-Haaa!” In reality he was record engineer Jerry Samuels. 1967, The Who performed at McFarlin Memorial Auditorium in Dallas, Texas. 1967, Pink Floyd appeared at the Cosmopolitan Club in Carlisle, Cumbria, England. 1968, The Beatles completed the recording of “Everybody’s Got Something To Hide Except Me And My Monkey” for the White Album at Abbey Road studios in London. John added a new lead vocal, while Paul and George performed the backup vocals. 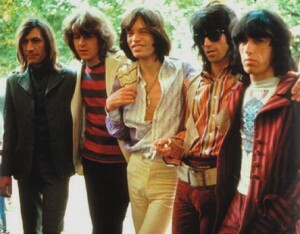 1969, The Rolling Stones were at number one on the singles chart with “Honky Tonk Women,” the group’s eighth and last chart topper. 1969, Los Angeles Mayor Sam Yorty had big plans to proclaim today “James Brown Day.” Brown shows up at his office at 10 AM to receive the honor. But when Yorty doesn’t turn up on time, he leaves. 1971, The Allman Brothers Band played at the Alan B. Sheppard Civic Center, Virginia Beach, Virginia. 1971, The Rolling Stones and Brian Jones’ father sue former manager Allen Klein for $29 million, alleging that he mismanaged the band’s funds. 1972, Roxy Music appeared at the Black Prince, Bexley, England. 1973, Queen play at the Marquee Club in London. 1975, Yes appeared at the Civic Center in Providence, Rhode Island. 1976, Aerosmith performed at Memorial Auditorium, Buffalo, New York. 1977, Who drummer Keith Moon joined Led Zeppelin on stage during a gig at The Forum, Inglewood, Los Angeles playing a duet with Zeppelin drummer John Bonham before taking to the microphone and attempting to sing. 1977, Barry Manilow went to number one on the US singles chart with “Looks Like We Made It,” his third US chart topper. It was not a hit in the UK. 1978, The Rolling Stones performed at Anaheim Stadium, Anaheim, California. 1979, Keyboard player with The Grateful Dead Keith Godchaux died following injuries sustained in a car accident aged 32. He co-wrote songs with Lowell George (of Little Feat) and was a member of The New Riders of the Purple Sage. 1980, Black Sabbath appeared at the County Fairgrounds, Ventura, California. 1981, Blue Oyster Cult played at Swing Auditorium, San Bernardino, California. 1983, The Police kicked off the North American leg of their Synchronicity 107-date world tour at Comiskey Park, Chicago, Illinois. The Police also went to number one on the US album chart with Synchronicity, which spent a total of seventeen weeks at the top. 1988, Richard Marx went to number one on the US singles chart with ‘Hold On To The Nights’, his first US chart topping single. 1988, After forty-nine weeks on the US album chart, Hysteria by Def Leppard went to the number one position. 1989, Ringo Starr kicked off his first tour since the break-up of the Beatles with a show in Dallas. His backup band included guitarist Joe Walsh, organist Billy Preston, and Bruce Springsteen’s sax man Clarence Clemons. 1990, The Grateful Dead played at the World Music Theater in Tinley Park, Illinois, a suburb of Chicago. This would be Brent Mydland’s last show. He died three days later of an overdose. 1996, Rob Collins, keyboard player with The Charlatans died in a car crash, aged 29. An investigation into the accident showed that Collins had consumed a considerable amount of alcohol and was not wearing a seatbelt. He died from head injuries on the roadside shortly after the accident, having been thrown through the windshield. 2004, American guitarist Bill Brown died of smoke inhalation in a house fire. Member of The Ozark Mountain Daredevils and The Titanic Blues Band. 2011, Amy Winehouse was found dead at her north London home, she was 27. A Metropolitan Police spokesman confirmed that a 27-year-old woman had died in Camden and that the cause of death was as yet unexplained. The troubled singer had a long battle with drink and drugs which overshadowed her musical career.